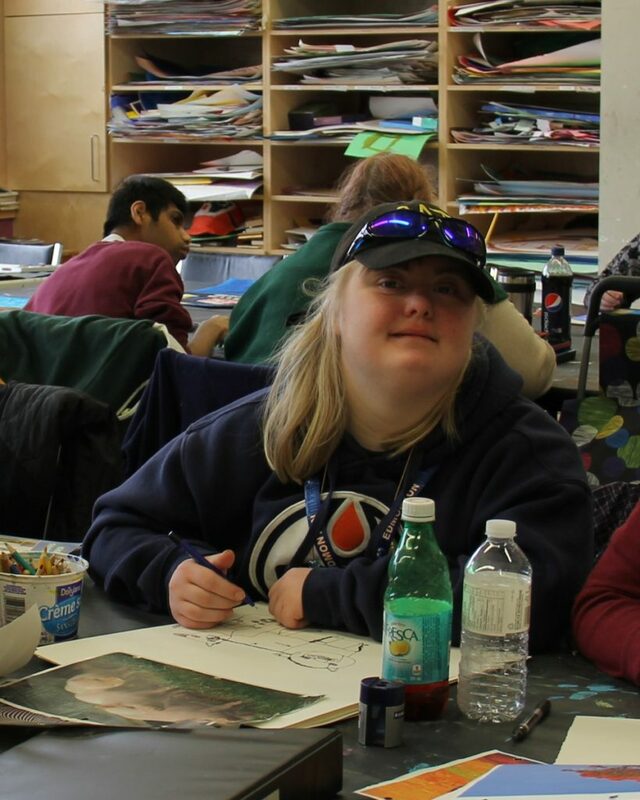 Born in 1987, Jaymee was raised in Edmonton and has been a Nina artist for several years. Her art is primarily line drawings, and she loves to draw animals. Her sinewy, analytical line depicts fantastical creatures, often without taking her pen from the page. People and animals come to life through her black pen, their eyes full of vitality.